The penultimate book in the Lorien Legacies or I Am Number Four series, The Fate of Ten, is almost upon us unworthy mortals. Only less than a fortnight remains before it's release. If there is a song called Wake Me Up When September Ends, there should be another one for August's end as that will be the time of the books coming. Earthlings prepare your self. To add up to the hype on one of the most anticipated books of the year, a new book trailer for The Fate of Ten has surfaced online. Legacies are manifesting left and right and for the wrong species. What used to be inherent for Loriens only, we Earthlings have been gifted as well. Lorien Chose You! 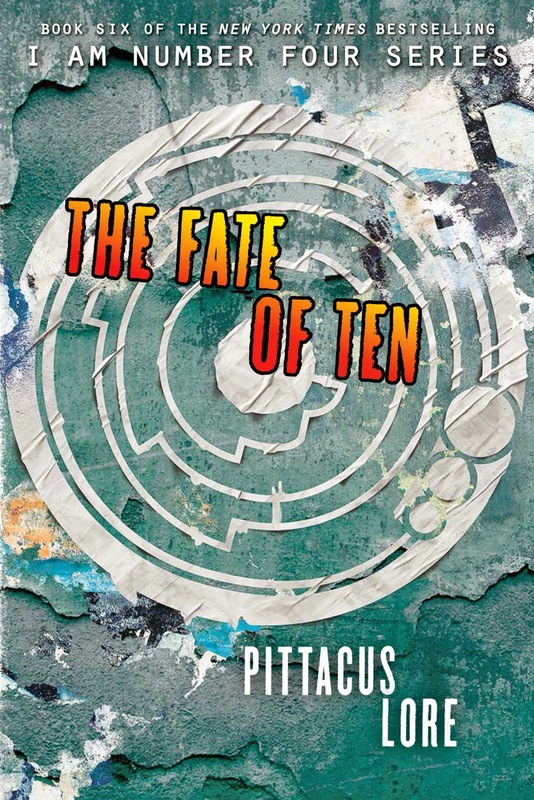 Watch the exciting book trailer of The Fate of Ten by Pittacus Lore. The sixth and penultimate book in the New York Times bestselling I Am Number Four series! For years the Garde have fought the Mogadorians in secret. Now all of that has changed. The invasion has begun. John is on the front lines of the fight in New York City. And just as the odds seem stacked against him, his best friend, Sam, a human, inexplicably develops a Legacy—and Sam isn't the only one. The Garde are stretched thin, fighting this war on many fronts. The only chance they have is to take out the Mogadorian leader once and for all—but his fate is now irrevocably tied with Ella's. They can't destroy one without the other. But if the Garde can't find another way to stop the Mogs, humanity will suffer the same fate as the Loric: annihilation. The Fate of Ten by Pittacus Lore will be released on September 1, 2015.